The game was first released online a year ago by Turtle Rock Studios. However, the publisher charged for it and it didn’t quite work out with the FPS gaming community. Today, the game is being re-released as Evolve Stage 2 and is currently free-to-play. Also, a lot of revisions were done on the game as sort of to polish not only the graphics and characters but the game play as well. The premise of the game remains the same. Chase a huge monster and try to snare it with a force field known as a dome. 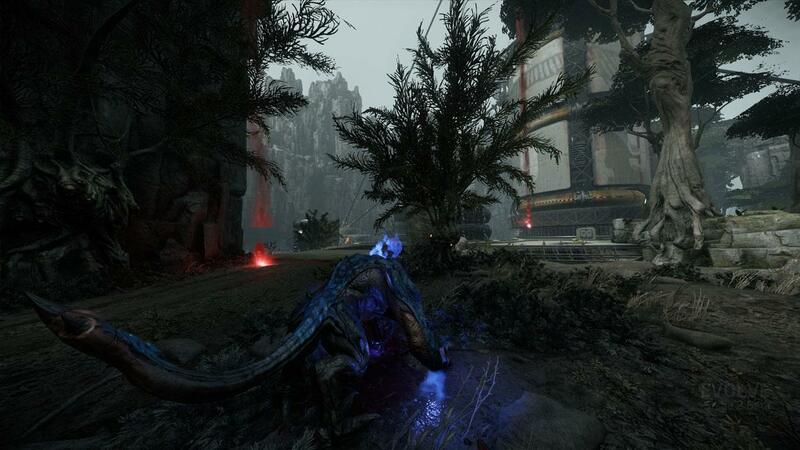 Evolve is a unique FPS game in that it is a 4 versus 1 shooter where the 1 is a big one with the ability to evolve. 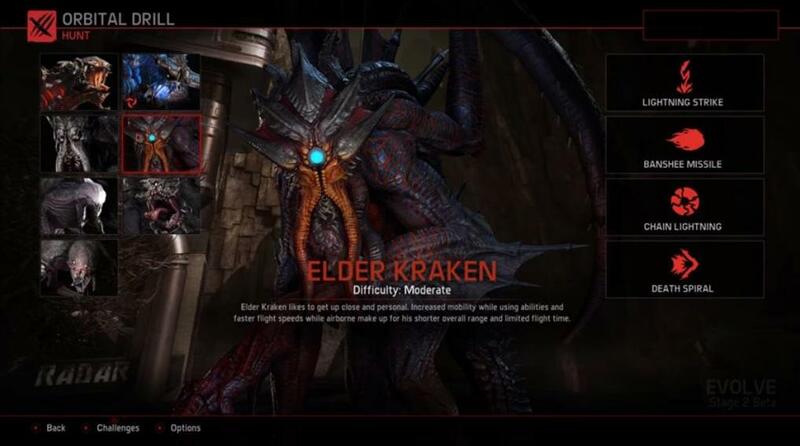 You have the option to play one of the four hunters or the big monster itself. At the start of the game, the options let you choose the particular settings for features of the game like gameplay, video, audio, keyboard/mouse control as well as language. There is still a Store option but as Evolve Stage 2 is Free, you currently cannot buy anything with real money. What you can do is to unlock options with coins which you earn throughout the game by leveling up and completing challenges. Store options are Characters, Monsters, Hunter/Monster Skins and Weapon Skins. Items you unlocked can then be used in-game. An example would be those real cool characters (Jack comes into mind) that you can use as your avatar or bot ally only when unlocked. Weapon Skins are a lot but you can only really choose from too many. As the Monster feeds, it grows stronger per evolution. It can keep on doing this until it reaches Stage 3 evolve which would be currently as far as it can go. Once strong enough, it can take on the hunters and hurl them with its offensive abilities like energy bolts, toss them a big boulder or simply try to eat them when they get in the way. There are four of them so things can get really rough. Hunters on the other hand must use teamwork to lure the monster to an enclosed area and snare it with a dome. A difficult task as the hulking behemoth will definitely not take it lying down. If it reaches Stage 3 and evolves and/or gets rid of the hunters in the process, the Monster Wins! When selecting your Monster or Hunter at the start of the game, you will see the inventory (hunter) or abilities (monster) at the right of your characters image. Each list is unique for the specific character. 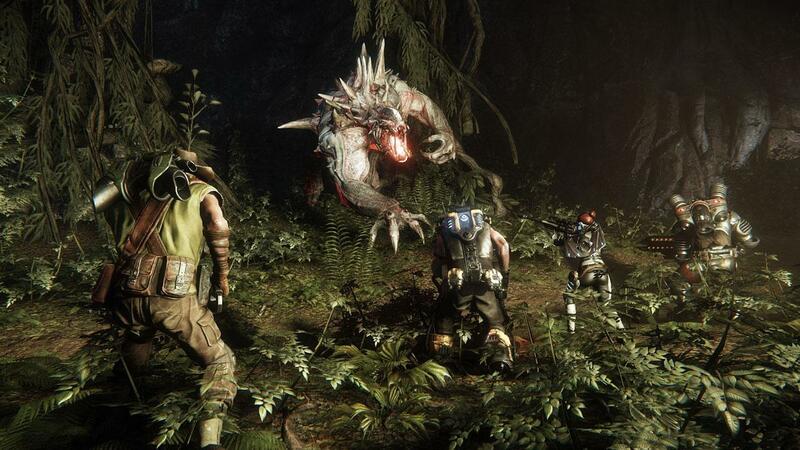 The 4 hunter roles are the Trapper who tracks down the beast and relays to the team its location. The Assault hunter who happens to be the biggest, meanest or most heavily armored member of the team. The Medic who supports and heals the team and the Support hunter who has shield burst ability which generates an additional shield for each team member protecting them in the middle of a combat crisis. The monster type is quite a list so just take your pick as they all look monstrously ugly anyway. At least you get to experience what it’s like to be chased and hated just because you look that way. You have 3 game modes which are Tutorial, Hunt (direct hunt) and Custom where you can choose an Arena or Hunt game and the map to play on. You have 4 maps to choose from and they have been updated so they look really good. Aside from the maps, the graphics in all aspects is awesome, the sound effects are great and the radio banter between the hunters is fun and hilarious. Gameplay is fast and furious. If you’re the monster, you have to think strategically and when to fight or be a monster on the run. Overall, Evolve Stage 2 is a pretty fun game and the decision to make it free2play is a good one. The game’s also available on console.